I am extremely excited to introduce you all to Brooke's Etsy shop, BluHour! I bought a necklace from her shop about this time last year and absolutely loved all her jewelry. Brooke and I became fast friends and she has generously offered to give away a piece of jewelry to one of YOU! Check out just some of her beautiful creations! Good luck!!! The winner will be announced on Monday, September 26th! I love the pink gold bow necklace! Her jewelry is so fun! I'm loving the sweetheart hoops. So girly, whimsical and romantic! Her jewelry is so sweet and romantic. 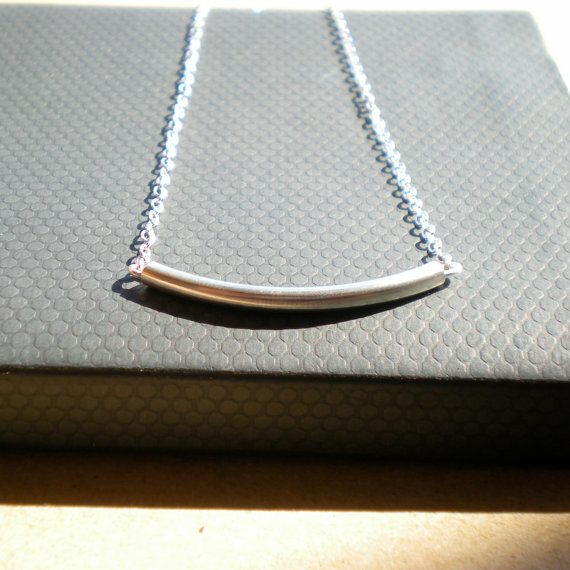 I love the curve necklace! So pretty! I'm loving the vintage brass know necklace! What an awesome giveaway. Thanks so much. And, I am already a follower of your awesome blog! Great giveaway. I really love the first picture. What a great giveaway! Her etsy shop is adorable! I think my favorite piece is the silver bow necklace. I'm already a follower! And I like BluHour on facebook! Fabulous giveaway! I love the Simple Circle necklace!! You know I follow ya! I follow you on Twitter, too! Tweet, Tweet!! I LOVE the pink gold bow necklace! Too cute!! I absolutely love the curve necklace!! Fun giveaway! I love the curve necklace! I'm already a GFC follower and I LOVE that bow necklace! Great giveaway. I am a newbie to your blog and I'm a new follower as well. I really love the LARGE GOLD BOW necklace -- 14k gold bow and 14k gold chain, totally divine as I'm more a gold gal than silver. I follow you on Twitter as "Lesapea". These are so pretty! The bow one is my fav! I also like the brass knots! Great giveaway Girl! 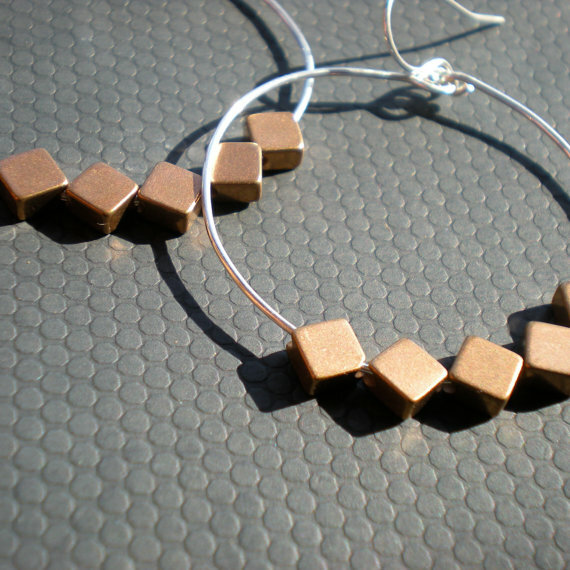 I love the copper earrings! Happy Monday xoxo! 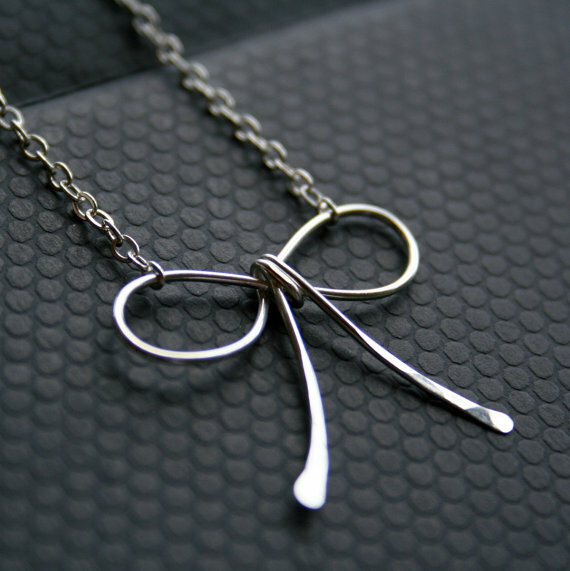 i love the wishbone necklace so cute! I love the vintage knot necklace! I'm loving the pink gold bow!! Adorable. I follow! Anything rose gold I love! i liked bluhour on facebook! I am a new follower of your blog :) and I love the vintage brass necklace. I liked Bluhour on FB. 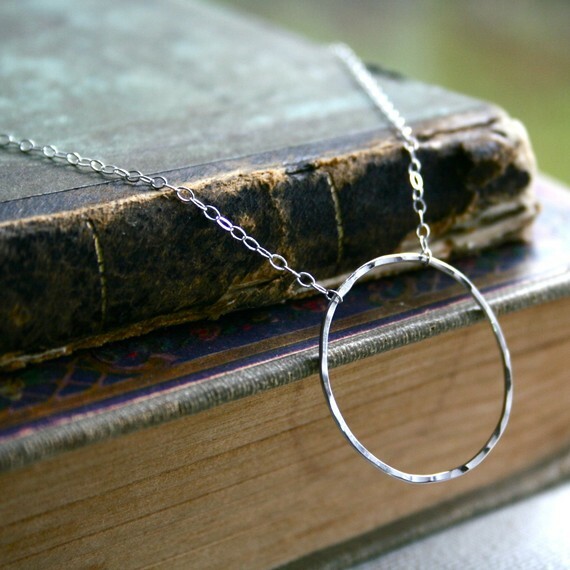 I love the simple circle necklace. I am following you on twitter! Following! I adore that bow necklace you posted!! So cute, simple and beautiful! amazing giveaway! im going to have to go with the bow necklace! so chic! i am a follower and i love the heart necklace in gold and rose gold (only because i already have a similar one in silver!) i adore bows on jewelry and this is too cute! I follow you and I like the simple circle necklace! Love the triple drop necklace! Follower! And I am just loving that bow necklace and those copper square earrings! Of course I am a follower and love, love, love that bow necklaces. Cant decide if I like the silver or gold better?? They are both so adorable! i'm a follower and i love the city siren necklace! I am a follower (I thought I was this whole time!) 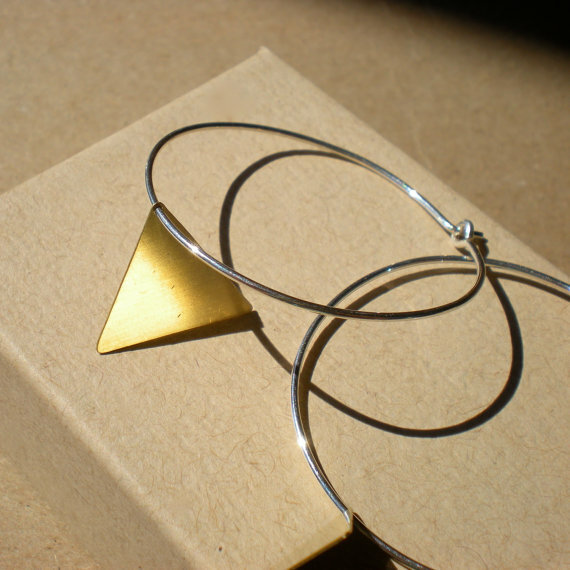 and I LOVE the triangle hoops!!! I'm following and love the pink gold bow necklace. I'm following Schue Love via GFC! My favorite is the Triple Drop Necklace! Absolutely gorgeous! The rose gold bow necklace is so cute! I also love the little rose gold hoops and the curve necklace. Great giveaway! I am a follower! :) What beautiful jewelry - I love the knot necklace or the nugget necklace. Thanks for such a nice giveaway! and my fave BluHour piece is the bow necklace. I like BluHour on facebook!